Is More Contraction In Atlantic City's Future? Is More Contraction In Atlantic City’s Future? Atlantic City lost four casinos over the course of 2014. The closures cost the city thousands of jobs, and insured the Atlantic City casino industry would see revenue continue its downward trend in 2014 and 2015. However, at the end of the day it wasn’t all bad news, as the casinos that survived the purge have seen individual revenues climb, and profits soar. However, according to a recent report by Moody’s, the industry is about to undergo another challenge, as Moody’s analyst Peter Trombetta believes Atlantic City’s casino industry is likely to contract even further as more competition springs up in neighboring states. “Increased competition will keep the heat on incumbents, and (we expect) that the number of casinos in Atlantic City will likely continue to shrink,” Trombetta opined in an interview with the Press of AC, pointing to the eight casinos being built in four border states at a total cost of $5 billion. I think there is a lot more to it than this, and I’m of the opinion that the impact of the new casinos in surrounding states is being overstated, at least in terms of its overall impact on Atlantic City. I believe if another Atlantic City casino closes, it will be because their cake was already baked, and would have occurred with or without more competition. Where is the new competition coming from? As Moody’s notes, most of the new casinos being built are further away from Atlantic City than current casinos, so from a proximity point of view, there won’t be an impact. Washington D.C.’s MGM National Harbor is an unlikely competitor, as are the casinos being erected in Massachusetts and New York. The distance is simply too great, although as Moody’s notes, it could cause existing casinos to focus marketing efforts in the direction of Atlantic City. 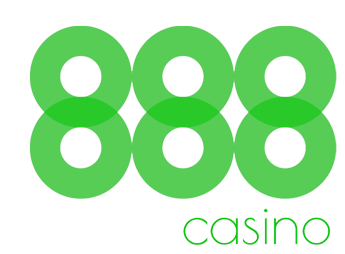 The only direct competitor for Atlantic City casinos seems to be the Live! Hotel and Casino in South Philadelphia, which is far closer than the other projects, and in reasonable driving distance from Atlantic City. 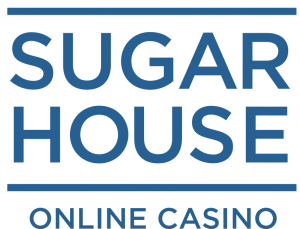 However, SugarHouse Casino is already up and running in Philly, and other casinos, including the popular Sands Bethlehem are even closer to the New Jersey border. It seems pessimistic to believe there are many customers who would still travel to AC despite current options being much closer, but will stop making the trip when the Live! casino opens. That being said, I do expect the novelty of the new casino to have a short-term impact. But, there are reasons these customers continue to go to Atlantic City, and will continue to go to Atlantic City. Moody’s lists only a single reason, Atlantic City’s beachfront location, that visitors may continue to travel to AC instead of closer casino properties. Again, I disagree. Whether its brand loyalty, familiarity, or having a longstanding relationship with their VIP host, anyone who is still travelling to Atlantic City now, will likely keep going, as the casinos under construction aren’t closer, or capable of offering something existing casinos already competing with Atlantic City do not. Atlantic City, for all its warts, also has a “mini Vegas” feel to it (and does attract bachelor and bachelorette parties), as many of its casinos are in close proximity to one another, which allows visitors to casino hop on foot and visit different night clubs and restaurants, something that is simply not an option in Pennsylvania, Maryland, Connecticut, New York, or Massachusetts. All this being said, if a casino (or perhaps even two) opens in northern New Jersey, it will likely lead to the closure of at least one, and perhaps two, Atlantic City casino properties. The difference is the state’s casino revenue will not be impacted, as the opening of a new New Jersey casino (which would almost certainly be a billion-dollar resort style casino) would more than offset the closure of the Trump Taj Mahal, or one of Caesars’ casinos. And any such casino, as has been proposed, would have higher tax rates than Atlantic City casinos — some of which would go towards bolstering Atlantic City.